With the launch of our new free subscription service, Updates From Jim Hinckley’s America (subscription form is in the right column), I took another step toward the envisioned goal of providing the curious traveler with travel planning tips and assistance that encourages grand adventures on a wide array of platforms. In the modern era books, feature articles, and blog posts simply are not enough. So, proving the old adage about teaching an old dog new tricks wrong, I challenged myself to incorporate the modern wonders such as Twitter, Instagram, and Facebook. To say the very least, this has been a rather interesting adventure in itself. Still, I find these endeavors and the opportunities available to writers for the building of an audience, a fan base, to be rather fascinating. Checking the daily traffic on the blog has become a daily ritual. It never ceases to amaze us to find that people in dozens of countries are using our resources to plan trips and adventures. Likewise, in the reading of comments it is inspirational to learn that these folks share our interest in adventures on the road less traveled, that they too are fascinated with the people that make those odysseys memorable, and that they trust and rely on our expertise, tips, and suggestions. All of this is rather humbling, to say the very least. 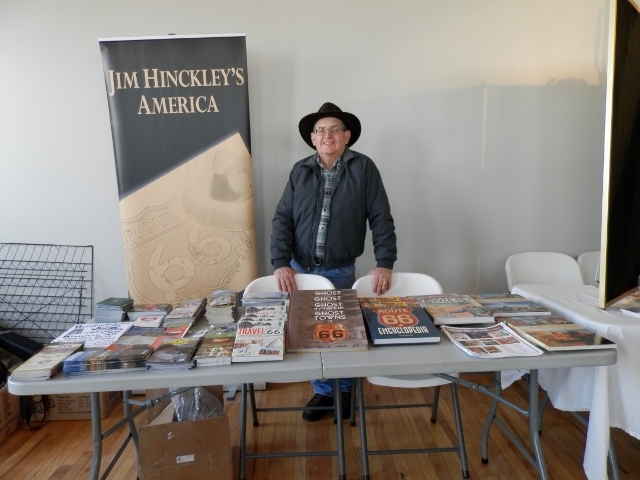 Updates From Jim Hinckley’s America was conceived as a means for sharing tips, reviews, event and festival updates, and similar information on a consistent and regular basis, and in a manner that fits today’s hectic lifestyles. It was also envisioned as a means for providing additional promotional assistance for communities, businesses, and event coordinators. This link is for the most recent release. With the blog I can get a bit long winded as regular readers can attest. As you can see, the updates, however, are concise allowing for a quick read even with a busy schedule. As noted on numerous occasions, this all started with a passion to write, and to share as well as inspire adventures all encouraged by my dearest friend. Coupled with this was the need to learn the nuances of shameless self promotion. At some point it seemed to take on a life of its own. First there were feature articles and books, and then the blog as well as a Jim Hinckley’s America Facebook page. Next came interviews, written as well as television, and radio, including a couple with Jay Leno at his world famous garage. Then came requests to meet and speak with tour groups, as well as to provide assistance in the development and planning of tours. Requests for presentations at events, festivals, functions, conventions, and similar venues followed on the heels of the interviews. Public speaking was never my strong point, at least in my opinion. In addition, there was a need to master the art of developing and using PowerPoint, and similar programs. So, needless to say, these initial presentations began as rather faltering, and occasionally embarrassing endeavors. Much to my surprise, in spite of my shortcomings they proved rather popular. In January 2015, I spoke at a travel fair in Utrecht, Netherlands on the behest of U.S. 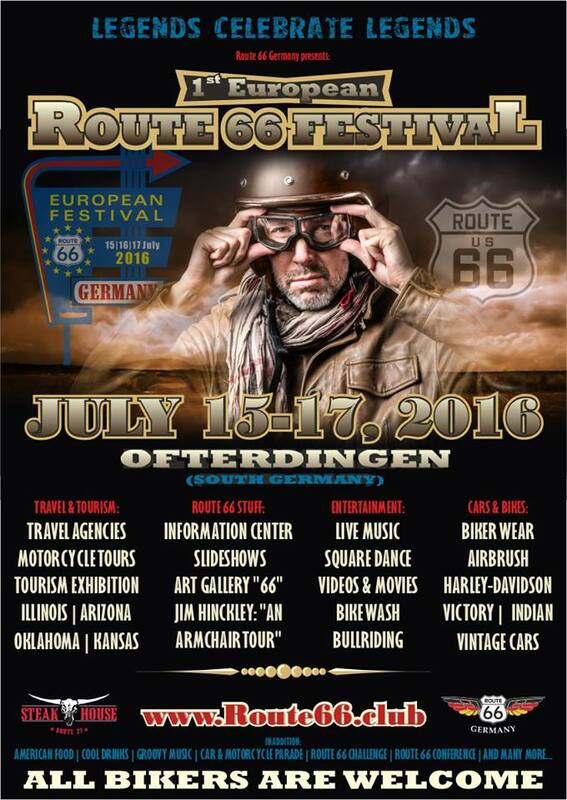 Bikers, a Dutch tour company. I spoke at the Miles of Possibilities Conference in Edwardsville, Illinois last year. 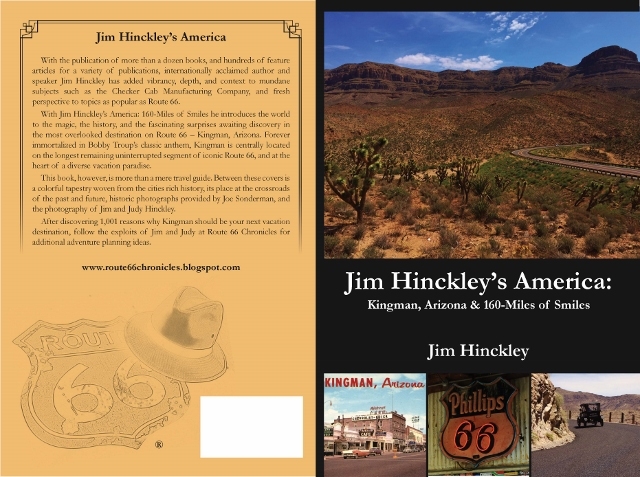 In January of this year, I made a presentation entitled An Armchair Tour of Route 66 at a fund raising dinner for the Route 66 Association of Kingman. 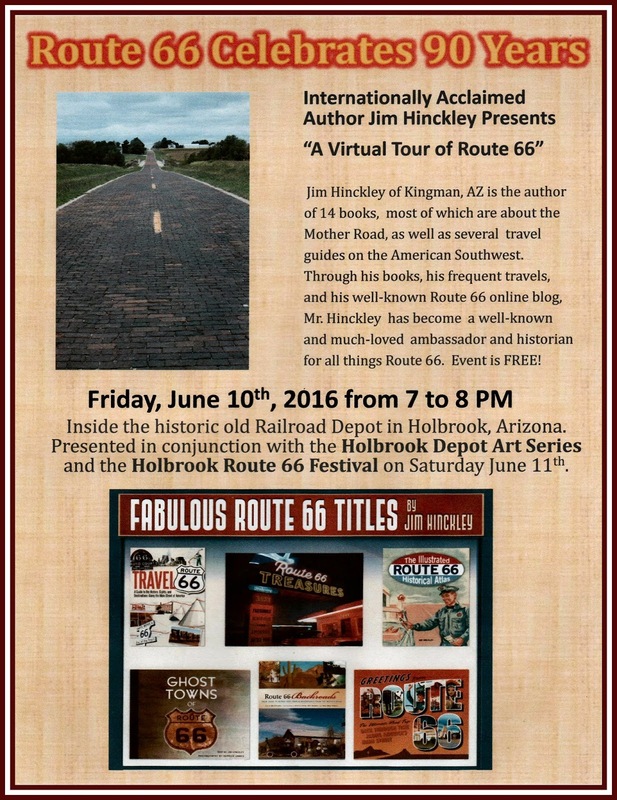 This June, I will speak at the Route 66 festival in Holbrook, and in July, I will be making a similar presentation at the first European Route 66. The iconic Dambar in Kingman, Arizona has requested a presentation as part of a special dinner promotion in May. At some point, I found myself responding to requests to serve as a consultant for companies such as Ramada Kingman, and Grand Canyon Caverns. At about the same time, I began receiving requests to assist media companies and similar entities. Now, its the Updates From Jim Hinckley’s America, as well as podcast, Twitter, and Instagram. Keeping up with all of the promotional venues has almost become a job in itself. So, welcome to Jim Hinckley’s America, and thank you for the show of support. It is truly a pleasure to have opportunities for sharing my adventures, and a blessing to hear that I might have inspired a few.